Fiber cement can be a great choice when selecting a siding material for your home, but how do you go about deciphering the pricing estimates you've received and what exactly should be included in your totals? There are a lot of factors that can affect your fiber cement prices, such as where you're purchasing the materials and the amount of work required at your home. With some help, however, understanding your estimate might become a little easier. Materials. If you're buying siding directly from a distributor, make sure any potential shipping charges are included in your estimate. 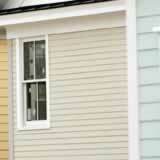 Special order siding might have shipping costs all the way from the manufacturer's location. Prep work. Old siding removal and re-waterproofing windows and doors should be included in your siding estimate if applicable to your installation. Your price should also include new water resistant house wrap for your home. Siding installation. A big part of the installation is cleaning up after the job is complete. Make sure your estimate includes taking all job-related debris to the nearest landfill. Your total price should also include any soffit and fascia work you want done along with the siding installation. If you have any questions about your fiber cement prices, ask your contractor for clarification before signing your contract.